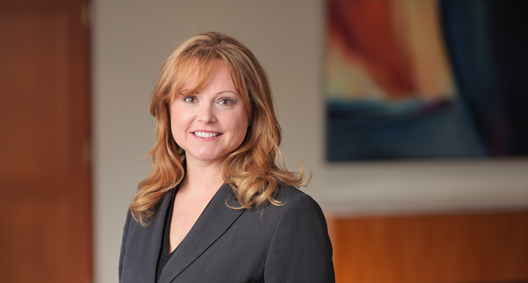 Christina Moser litigates patent, copyright and trademark matters for clients ranging from multinational corporations to growing enterprises involved in "bet the company" lawsuits. She also advises companies on how to develop and protect their products and services through registering and policing their intellectual property (IP). Christina offers a comprehensive, practical approach to formulating an intellectual property strategy that fits her clients' industries and priorities. Christina is an adjunct professor at Case Western Reserve University School of Law, teaching trademark law and trademark and copyright litigation, and she mentors law students interested in intellectual property law. Representing a financial services software company in a patent infringement action involving content management solution software. Helped a developer that was sued for the use of a geographically descriptive term resolve a trademark dispute in the U.S. District Court for the District of Middle District of Florida. The developer was sued for use of geographically-descriptive term. Representing one of the world's largest mass retailers in a trademark, trade dress and copyright infringement action involving children's "Silly Bandz" novelty bands. Representing an automobile manufacturer in a trademark infringement action against a former dealer. Representing a global manufacturing and industrial equipment supplier in a patent infringement action involving automobile refrigerant recycling technology. Representing a Canada-based technology company in patent infringement actions involving remote computer access technology in U.S. District Court for the District of Eastern Virginia and in the Northern District of Ohio. Representing one of the largest suppliers of rotating equipment solutions in a trade secret and copyright case involving industrial valve technology in the U.S. District Court for the Southern District of Texas. Representing an internet access solutions provider and hospitality company in a U.S. District Court for the Eastern District of Texas in patent infringement action involving internet access services. Representing a global internet and software company in a patent infringement action involving traffic information services. Representing an equipment manufacturer in a patent infringement action involving concrete product machine technology. Representing clothing retailers in copyright infringement actions involving garment fabric patterns in the U.S. District Court for the Central District of California. Served as lead counsel in a successful bench trial enforcement of an attorney lien. The decision was upheld on appeal. Served as second chair in a patent infringement matter involving a flooring device. The trial resulted in a finding of noninfringement and a declaration of invalidity in favor of the client. Involved in a first judicial determination in which the court determined that the mark KIRBY was declared "famous," resulting in a finding of infringement and dilution. Represented a client in a trademark infringement dispute in which the settlement decision was enforced with a Sixth Circuit opinion. Represented a client in a copyright infringement dispute. A Sixth Circuit opinion affirmed the original default judgment in favor of the client. Represents clients in the creative community as a committee member of CMBA's Cleveland Volunteer Lawyers for the Arts.